Now is the time on The Awesomer when we brush. 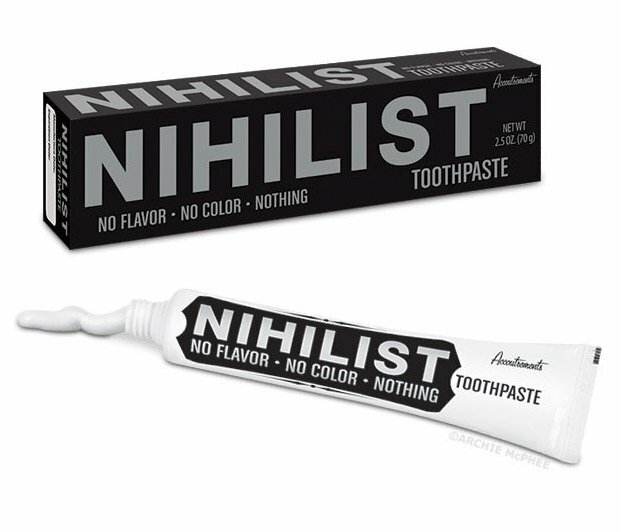 Show your teeth they mean nothing to you with this odorless, flavorless, colorless toothpaste in a bland package. Wait. 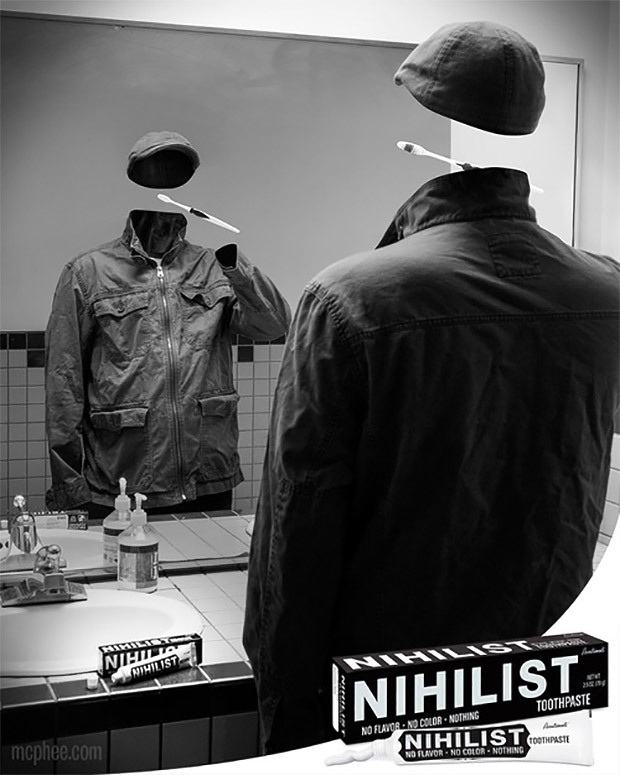 Do true nihilists even care about dental hygiene?